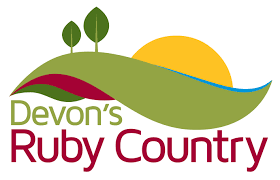 Cycling is a great way to explore Ruby Country with its many routes and trails, including the Ruby Way and National Cycle Route 3, as well as the many quiet lanes and bridleways. 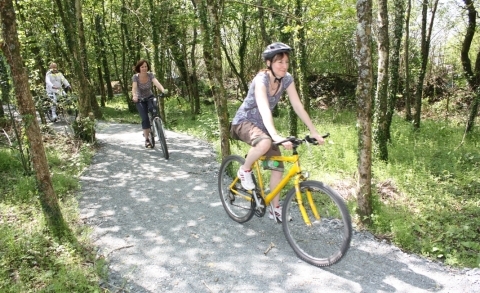 The new Pegasus Way once complete will provide a link route from the Granite Way to the Ruby Way in Cookworthy Forest. 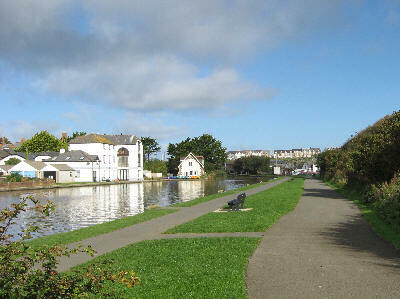 The Ruby Way also links into the world renowned Tarka Trail. Ruby Country is a superb place to spend part or all of your cycling holiday. Alternatively you may be inspired to bring your bicycle with you on holiday and spend time enjoying the peace and tranquillity in this rural and timeless part of north Devon. There are many places to stay where cyclists are welcome. 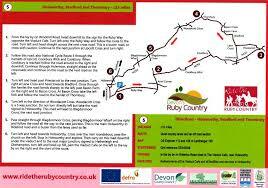 Ride the Ruby Country, together with others, have developed a new range of circuits, available to download. These new routes enable you to explore Ruby Country at your own pace, whilst cycling through some outstanding countryside and reconnecting with our natural environment. 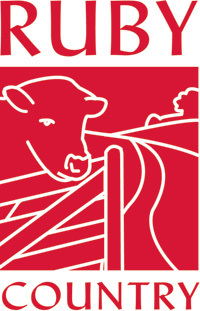 Using quiet country lanes and off road sections on the Ruby Way and Pegasus Way, the routes keep away from busy roads wherever possible and often pass places to eat and drink, visit and stay. Why not spend a week on your bicycle in Ruby Country? It’s a great way to relax, stay healthy and save money! Click on the following links to download routes. Ruby Country is covered by OS Explorer maps 111, 112, 113 and 126. 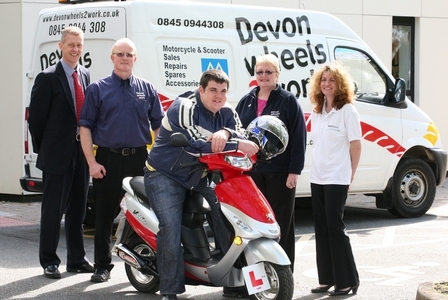 You can now hire an electric bike from Devon Wheels2Work making short trips around Ruby Country even easier! Great for those less active and ideal for getting all the family out in the countryside at once. All you need is to be able to ride a bike. The stunning surroundings of the popular tourist destination of Bude in North Cornwall and the neighbouring county of Devon and Ruby Country, make it the perfect place for a day out on a bike. 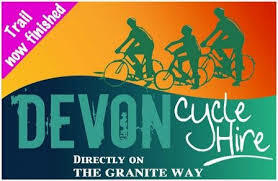 Devon Cycle Hire is situated directly on The Granite Way, part of Devonʼs Coast to Coast route – Route 27. The Granite Way is a mainly traffic free cycle route, with plans to make it totally traffic free in the not too distant future, running between Okehampton and Lydford. Itʼs family friendly, well surfaced with lots to see and do. There are breathtaking views and plenty of refreshment stops on route. Devon cycle routes donʼt come much better than The Granite Way. With over 730 acres of water, Roadford Lake is a spectacular lake in Ruby Country set on the edge of Dartmoor between Okehampton and Launceston. On the southern bank is the Lakeside cafe and Function Suite which includes a Visitor Centre. The Lakeside cafe and gift shop and Visitor Centre are open daily. Visitors to this side of the lake can enjoy miles of footpaths and a cycleway which winds its way through a maturing planted forest overlooking the Lake. Download Roadford_Lake_map Brochure for more information (PDF Download). Located in the north west of Ruby Country on the border with Cornwall, Tamar Lakes offer something for everyone, from water sports to bird watching. There are many miles of paths suitable for cycling following the shorelines of the two lakes, meandering through woodland and on to open countryside. Download Tamar_Lake_map Brochure for more information (PDF Download). 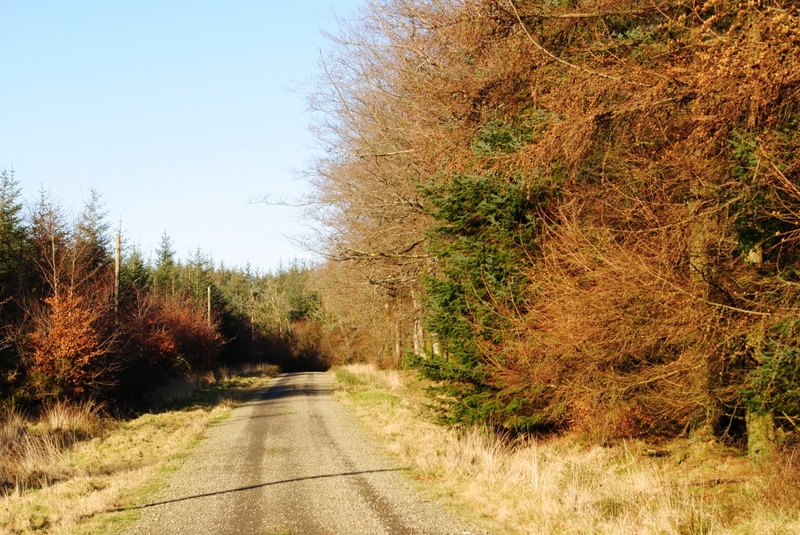 Cookworthy Forest is owned by the Forestry Commission. Cookworthy Forest is an impressive conifer plantation in the gentle hills of West Devon, between Okehampton and Bude. A cycle ride in Cookworthy Forest will bring you in close contact with a wide variety of wildlife including ravens, buzzards and red deer. Cookworthy Forest is an important destination on the Ruby Way, where you can link in to the Pegasus Way and cycle all the way to Dartmoor and beyond. 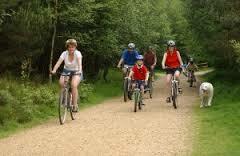 Devon County Council provide more information on cycling and cycling holidays in the area on their website. West Devon is blessed with a wide range of landscapes including Dartmoor National Park, the Tamar ValleyArea of Outstanding Natural Beauty and the Ruby Country. There are many ways to get out and about in West Devon by foot, bike, sail or riding, both onformally and by following recognised routes. Sustrans is a leading UK charity enabling people to travel by foot, bike or public transport for more of the journeys we make every day. 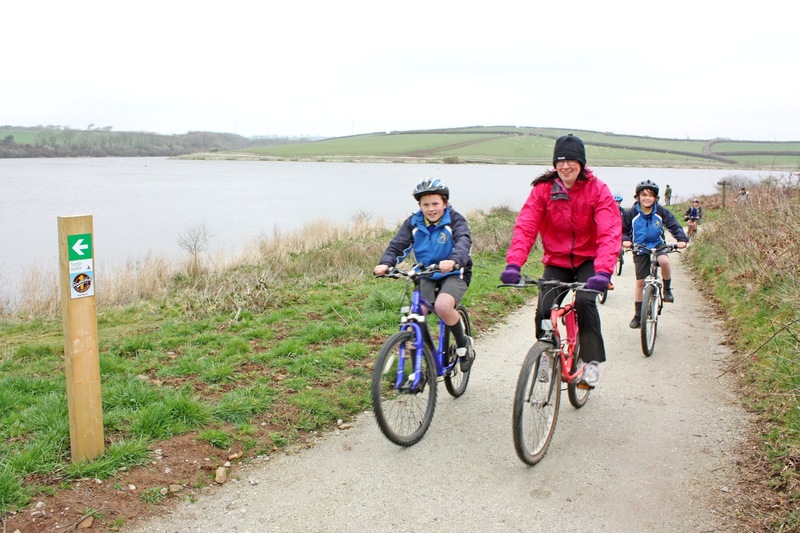 In Devon Sustrans works in partnership with Devon County Council to develop and manage the National Cycle Network. 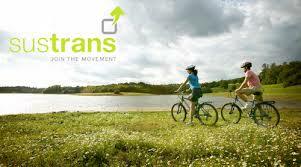 Visit the Sustrans website to learn where to cycle near you. NCN3National Route 3 of the National Cycle Network connects Land’s End in Cornwall to Bristol via St. Austell, Bude, Barnstaple, Taunton and Wells. It runs from east to west across Ruby Country. The route is fully open and signed, though improvements are still planned to create more traffic-free route options along the route. 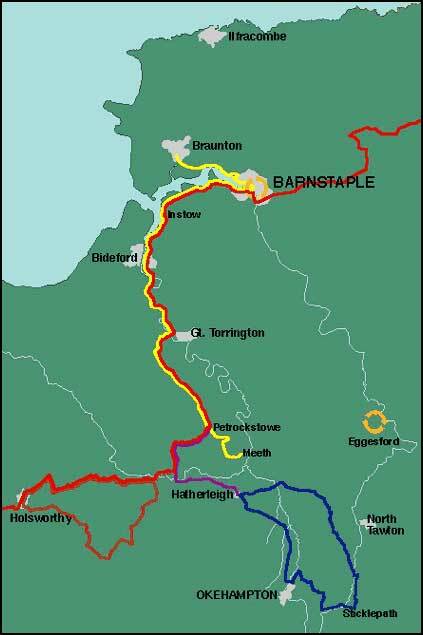 National Route 27 of the National Cycle Network is open and signed from Ilfracombe to Plymouth and is known as the Devon Coast to Coast cycle route. It crosses Ruby Country from north to south. The Atlantic Trail is the proposed name for the whole entity of multi-use paths, cycle routes and cycling opportunities/attractions centred on, and radiating out from Bude’s stunning location on the North Cornwall coast. The Atlantic Trail links in to Ruby Country via the Ruby Way and National Cycle Network Route 3. Straddling the English Channel, linking France to Devon, La Velodyssey is one of the 15 European Cycle routes making up EuroVelo1, criss-crossing Europe. 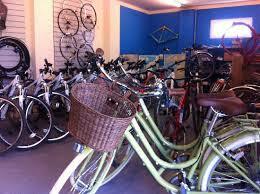 Whether you’re looking for a challenge or a leisurely cycle ride, Velodyssey has something for everyone. 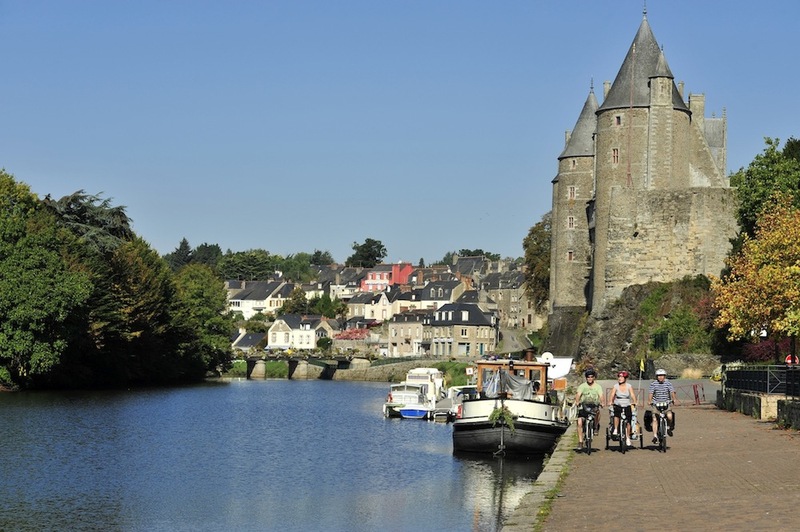 Get on your bike and experience the wild beauty of a cycle route covering more than 1,200 kilometres from Brittany down the Atlantic coast to the border with Spain. The sea is never very far away as you discover the best each region has to offer along France’s longest waymarked cycle trail. With our interactive maps and recommendations of the most suitable places for cyclists to stay, you can plan your very own Velodyssey in advance or just take off on the spur of the moment. You’ll find special offers, our pick of the best attractions to visit and reviews by those who’ve done the route. A voyage of discovery awaits you!